Scuderia Cameron Glickenhaus (SCG) has scored its best result ever in an uninterrupted VLN race, with fourth overall at the latest four-hour race on Saturday. In the past, the team has claimed second overall – but this was following a race that was affected by red flags and stoppages. 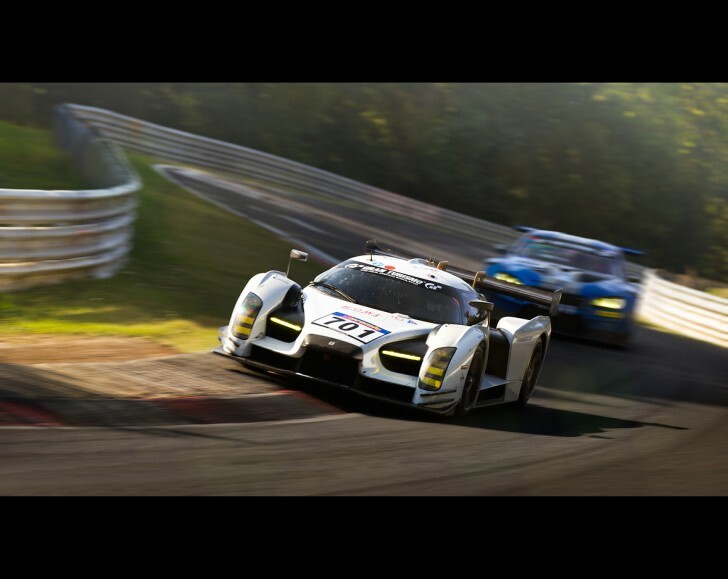 The latest result was achieved in a non-stop sprint against the best-known sportscar manufacturers in the world. The team fielded two cars at round eight of the VLN last weekend, a championship dedicated entirely to the famous Nurburgring: number 701 for Germany’s Felipe Laser and Frenchman Franck Mailleux, and 702 for Thomas Mutsch from Germany and Jeff Westphal from the USA. This was the first time that the cars had raced at the Nurburgring since successfully completing the famous 24 Hours in May, but there has been plenty of development work going on behind the scenes, using the lessons learned from the world’s toughest race. The team also tested Dunlop’s latest-generation tyres. The cars qualified in 10th and 17th places respectively, and showed perfect mechanical reliability, as well as front-running pace, from start to finish. While 701 finished just off the podium, beaten only by the latest cars from Porsche and Mercedes that were crewed by factory drivers, 702 was delayed by a bodywork issue and a punctured tyre. The 701 car was actually the latest machine to be built by Scuderia Cameron Glickenhaus, as part of its freshly-launched customer racing programme and is currently available to rent for a variety of different races: either as part of a championship campaign or just for one-off events. The 702 car was Macchinadue, one of the cars that competed in the Nurburgring 24 Hours.